Hi guys! It’s a while since I gave you the latest gist on sizzling hot deals in Naija. I’m back with the hottest one yet in 2017 and mehn… it is juicy! 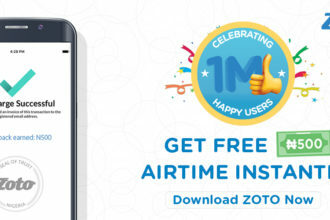 Nigeria’s number one recharge app, Zoto, is offering another mouthwatering deal on free recharge which will allow its users earn as much as N40, 000 airtime simply by referring family and friends to the Zoto app. Yeah, you heard it here… It the all new #ZotoReferral3.0. 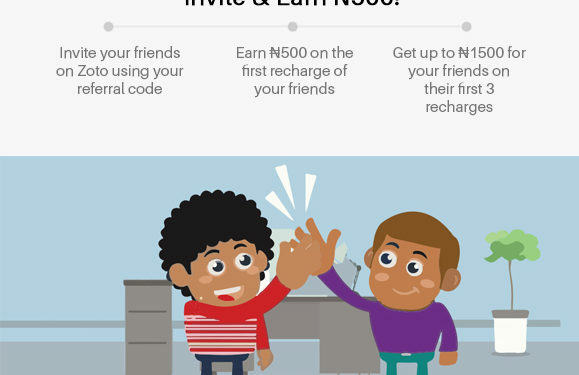 Zoto Referral program allows users to earn N500 for each friend referred and that friend makes a recharge using your referral code. 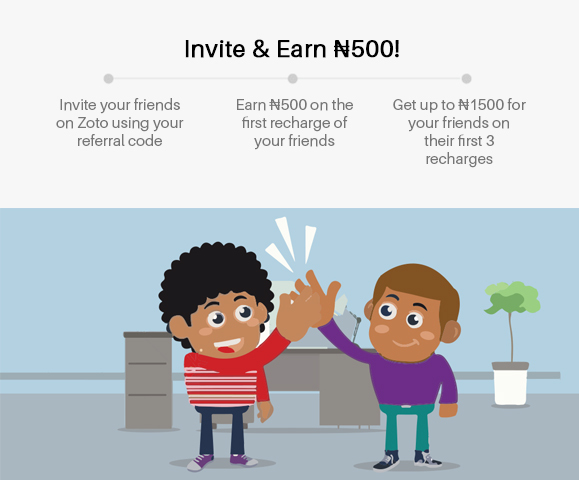 Your friend will also thank you for inviting him to zoto as he will get up to N1500 cashback on his first three transactions. Yes, it’s as simple as it sounds. You can earn ?40,000 more with the new Zoto referrals campaign, by making sure each person you invite registers with your unique referral code. Do this and the bonuses will keep rolling in for both you and your friend, once they make their first recharge! Wanna see how easy it is to make the Zoto referral program work for you? All you need to do it refer a friend. Easy isn’t it? What’s more… people who will use your referral code will get 100% Cashback up to ?500 on their first 3 recharges (Maximum Cashback?—? ?1500) and you’ll get as much as ?40,000 airtime when you refer friends. See, I told you it was awesome! So if you have cool swag, love to tell your friends about the latest deals, or you simply like to make money like me, this one’s for you!